A bill that would allow pharmacies in Nebraska to provide remote drug dispensing was amended to become an omnibus health and human services licensure measure and advanced from general file March 27. Williams said many small, rural Nebraska communities have lost pharmacies due to retirements, leaving residents without convenient access to their prescription medications. “LB731 provides a framework for remote dispensing to occur in Nebraska with legal requirements in place to ensure patient safety,” Williams said. Under the bill, a remote pharmacy would have to be located at least 10 driving miles from the nearest pharmacy and dispensing would occur under remote supervision via a real-time audiovisual communication system by a licensed pharmacist employed by a supervising pharmacy. A Health and Human Services Committee amendment, adopted 33-0, would prohibit a pharmacy from also being licensed as a remote pharmacy. The amendment also specifies that a pharmacist in charge would not be required to work within the physical confines of a remote dispensing pharmacy unless otherwise required by law. • LB790, introduced by Crete Sen. Laura Ebke, which would provide for licensure of mobile cosmetology and nail technology salons. • grant privileges to a licensee holding a valid, unencumbered license in another member state in accordance with the compact rules. Blood said 15 states currently are compact members and eight are pursuing membership. Nebraska’s inclusion in such compacts benefit military families that move frequently and include a spouse whose occupation requires licensure or certification, she said, which physical therapy does. “Additionally, with telemedicine quickly becoming such an important tool to our medical community—especially in the underserved communities of our state—physical therapists must be able to practice across the barrier that is created by geography,” Blood said. Riepe said that provisions of LB788 would ensure that Nebraska health care providers who prescribe opioids do so in a safe and effective manner and are aware of new guidelines. The bill would require nurse midwives, dentists, physicians, physician assistants, nurse practitioners, podiatrists and veterinarians who prescribe controlled substances to obtain five hours of continuing education regarding the administering and prescribing of opiates, including the risks and indicators of addiction and emergency opiate situations. Thirty minutes of the education must explain the state’s prescription drug monitoring program. The bill’s continuing education requirements would terminate Jan. 1, 2029. 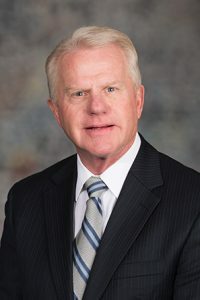 “As members of the Nebraska Legislature, we must continue to do our part to respond to this national emergency as it continues to draw closer to Nebraska,” Riepe said. An amendment offered by Seward Sen. Mark Kolterman and adopted 29-0 reduced the overall requirement from five hours to three. LB1042, introduced by Omaha Sen. Sara Howard, which would address regulation and licensure under the Act. • change the ratio of student instructors to each full-time instructor from three to two for a school of cosmetology. Ebke said provisions of her LB790 would allow cosmetology licensure to evolve to meet the needs of new businesses. “Current statutes do not account for technology changes that have made mobile businesses in cosmetology feasible and the requirement in law of a fixed business location makes mobile operations impossible,” she said. • meets the requirements of the Uniform Standard Code for Manufactured Homes and Recreational Vehicles and the rules and regulations adopted and promulgated under the bill. No cosmetology services could be performed while a mobile salon is moving. The bill would require a mobile salon to be safely and legally parked in a legal parking space at all times while clients are present inside. Seward Sen. Mark Kolterman offered and later withdrew an amendment that would have added provisions of his LB360 and adopt the Surgical Technologist Registry Act. Following adoption of the committee amendment, LB731 advanced to select file on a vote of 34-0.